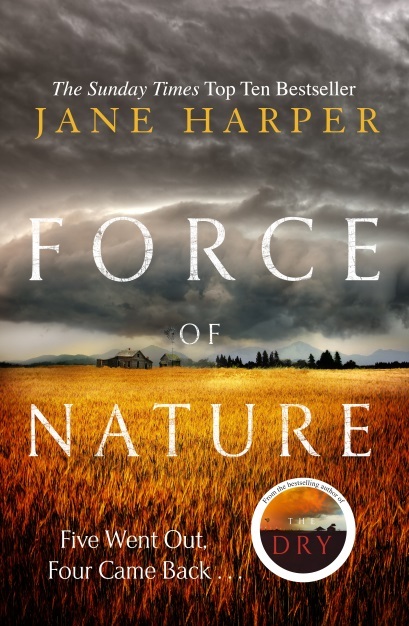 I named The Dry as one of my Top Books of 2017, so wild horses couldn't have kept me away from reading Force of Nature. Although it didn't quite match The Dry, in my opinion, it was still a great read. 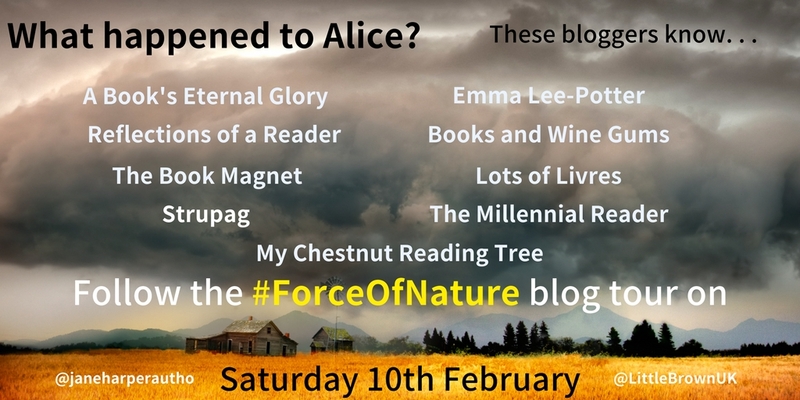 I apologise in advance for comparing Force of Nature to The Dry, but I blinking loved that book so will drop it in wherever I can. Alice Russell joins her work colleagues on a team building corporate retreat. Now, anyone who has ever been on one of these will know just how much fun they are NOT! I always say that I spend enough time with them at work, I don't want to socialise with them in my free time (sorry, work 'mates'). So 10 colleagues set out to hike across the bush split into men’s and women’s camps. Alice, along with her colleagues Jill, Lauren and twins Beth and Bree, make up the women's camp. Nothing good is ever going to come of pitting 5 women against the elements and it isn't long before they turn on each other, resulting in Alice storming off. The others assume that she has made her way back to the meeting point but Alice never made it back and a search party is assembled. The reader knows that Alice's last phone call was to Aaron Falk, with Aaron putting pressure on Alice to 'get the contracts'. Did somebody silence Alice before she could deliver evidence to the police? When the colleagues turn on each other, I could have pointed my finger at any one of them, as women are so vicious. The speed of implosion of the relationships was staggering, and frighteningly true to life. I could totally imagine this happening and I'm never going on a work outing ever again - I'm sure Jane Harper will write me a note (Yay!). Back to comparisons with The Dry, the only reason I knocked one star off Force of Nature is that there just wasn't enough Aaron Falk in the book. He seemed like a secondary character so for anyone who hasn't read The Dry, they might not recognise him as the glue that binds the two. I would have liked a bit more about Falk so we could have developed his character a bit further. 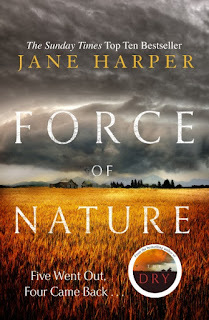 Aaron Falk aside, Force of Nature is a mighty fine story that shows just how far women will go to protect themselves and their loved ones. Don't ever underestimate a woman - they have claws!